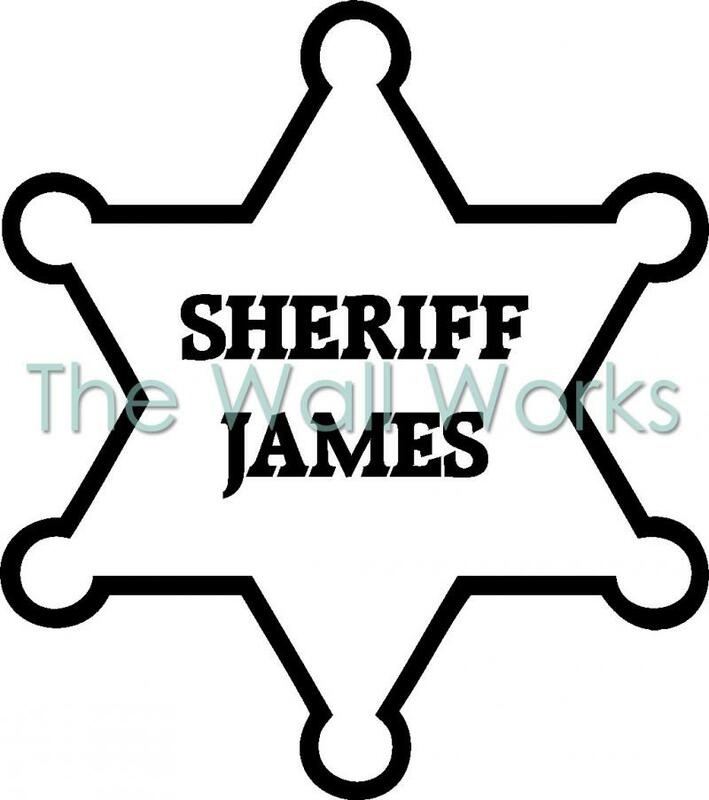 A customizable sheriff badge. Perfect for any boys room that is themed as a western theme, or as a decal for any other purpose. Customizable Sheriff Badge was added to your cart successfully!